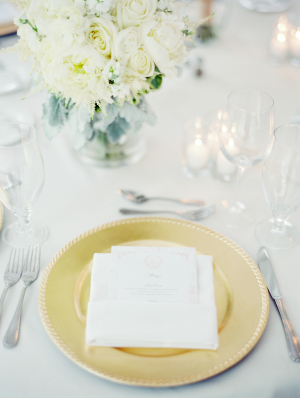 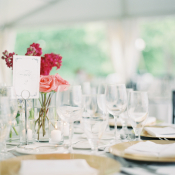 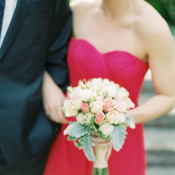 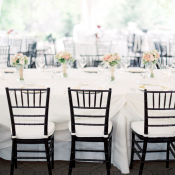 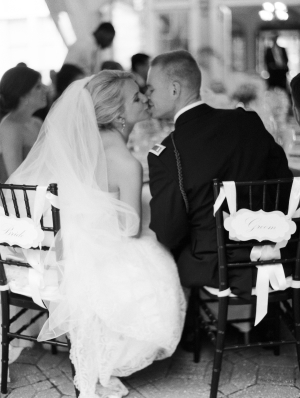 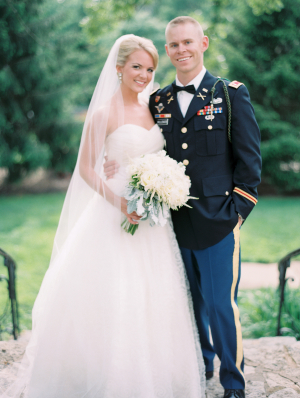 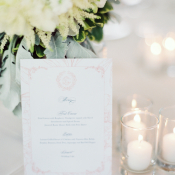 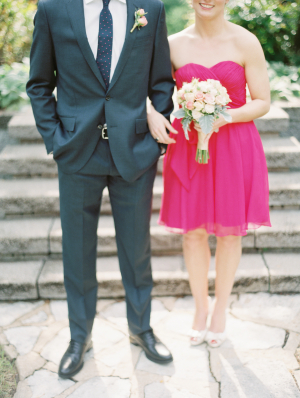 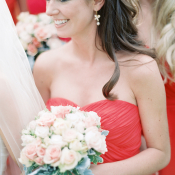 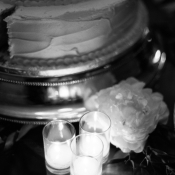 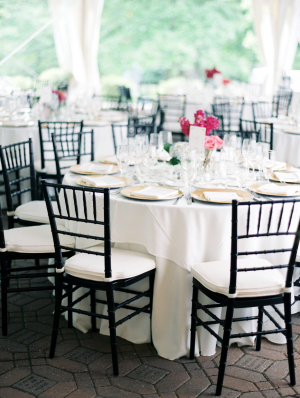 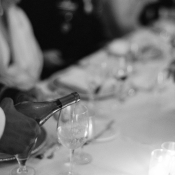 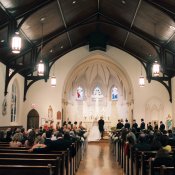 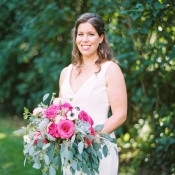 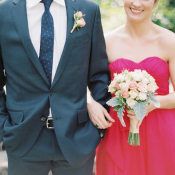 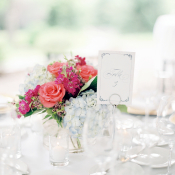 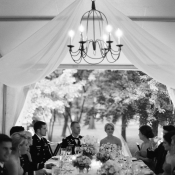 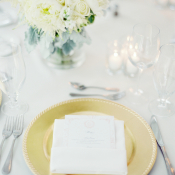 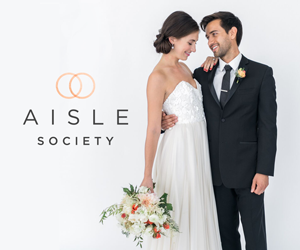 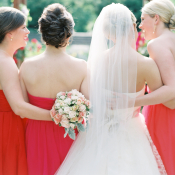 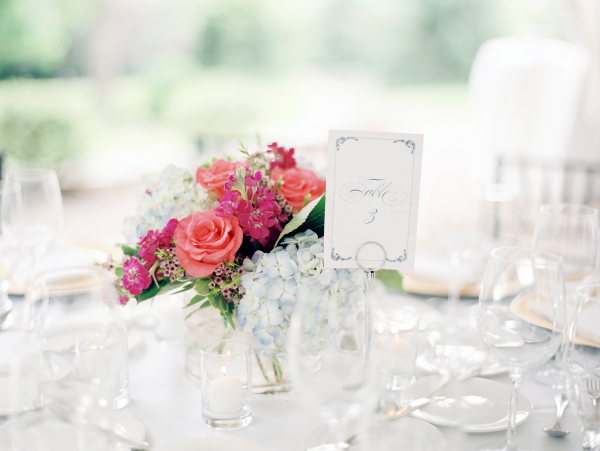 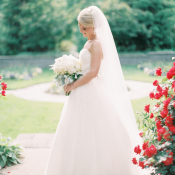 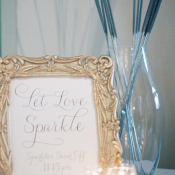 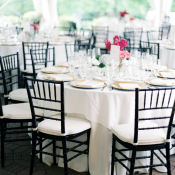 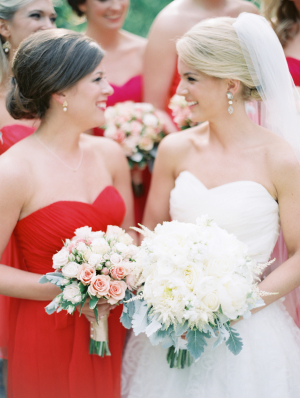 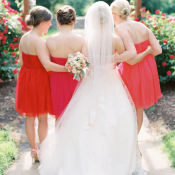 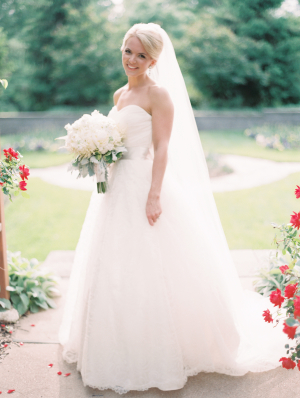 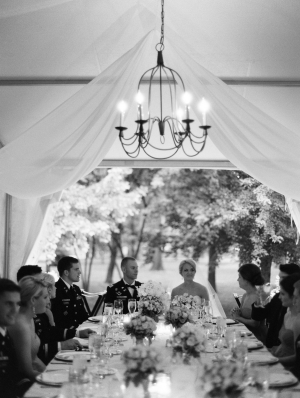 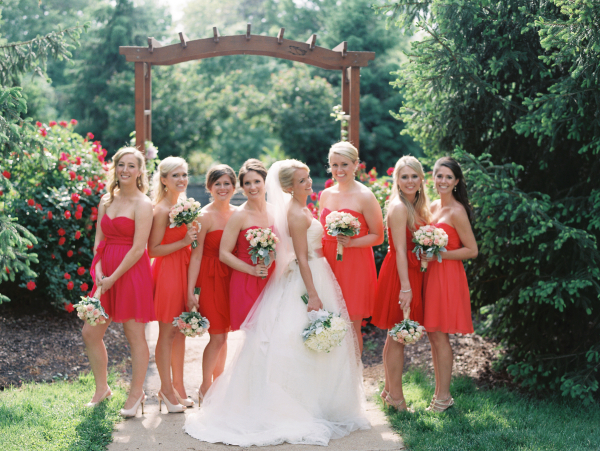 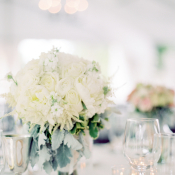 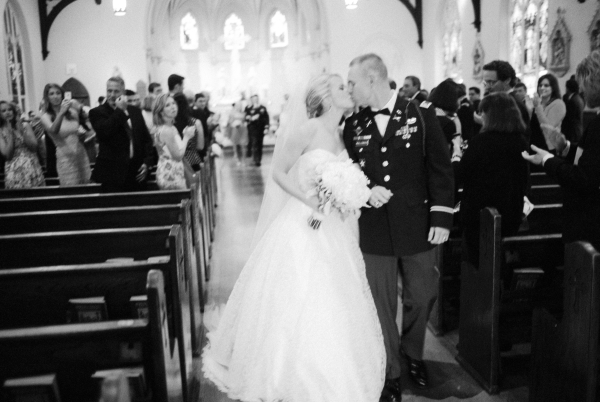 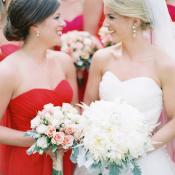 Casual elegance was the theme of the day for Lindsay and Charles’ lovely St. Louis wedding. 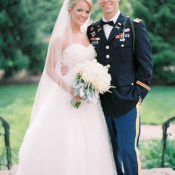 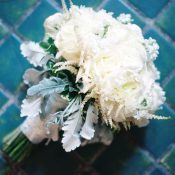 The couple gave nods to tradition and family, as Lindsay’s fluffy bouquet created by Sisters Floral Design Studio was wrapped with lace from her mother’s wedding dress, the champagne flutes for the reception toast were from Charles’ parent’s wedding, and Lindsay’s matron of honor gifted her extra tulle from her own wedding dress to be added to Lindsay’s gown. 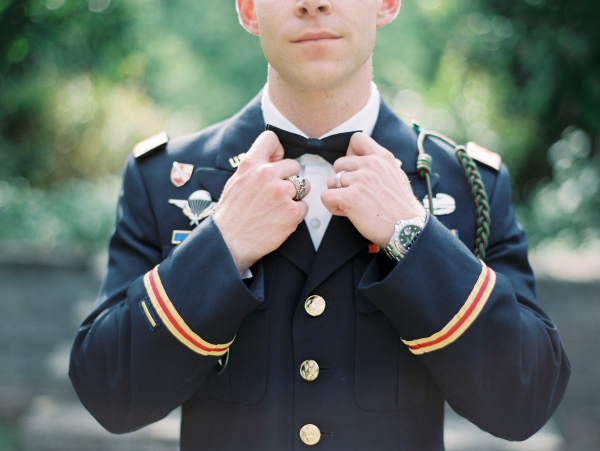 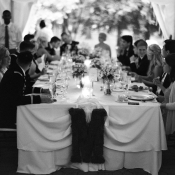 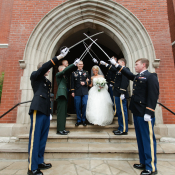 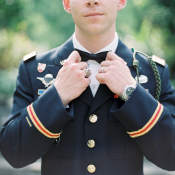 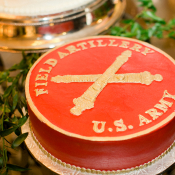 During their engagement, Charles was deployed to Afghanistan, and their love for the USA was the theme of the day, with pretty bridesmaids dresses in shades of pink and red from LoveLane, flag striped suspenders on the groomsmen, and a traditional Military Saber Ceremony. 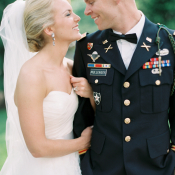 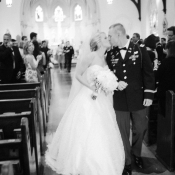 Charles’ best friend is currently deployed, and he surprised the couple with a recorded speech. 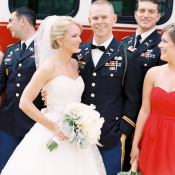 “Complete with a human size cardboard cutout his groomsmen had ordered of Tyler, there wasn’t a dry eye in the house.”, says Lindsay. 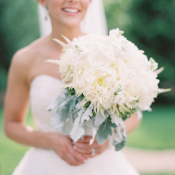 We love each and every moment of this gorgeous day captured by Clary Pfeiffer!